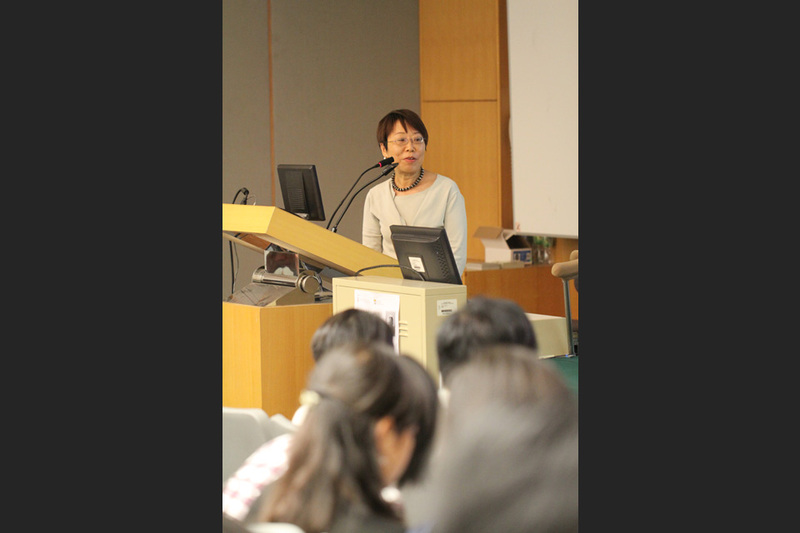 Professor Hsu Cho-Yun was born in China. 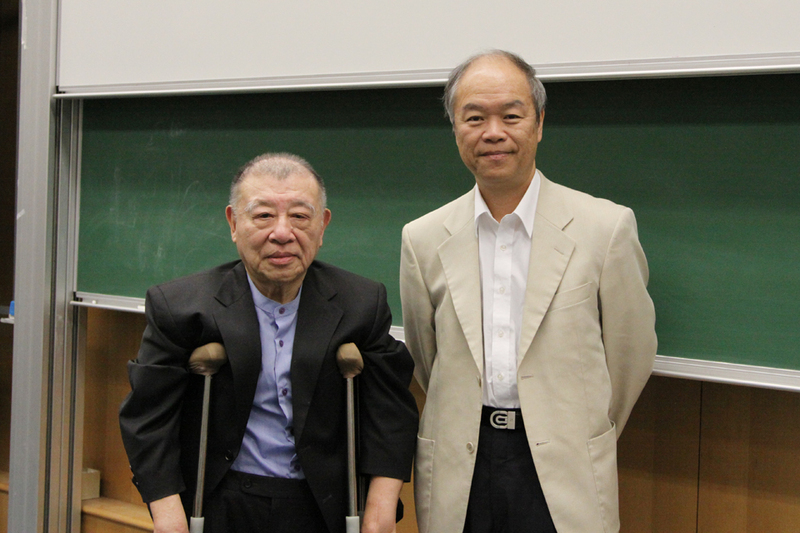 He completed his BA and Master degree at the National Taiwan University in 1953 and 1956 respectively and obta ined his PhD at the University of Chicago in 1962. 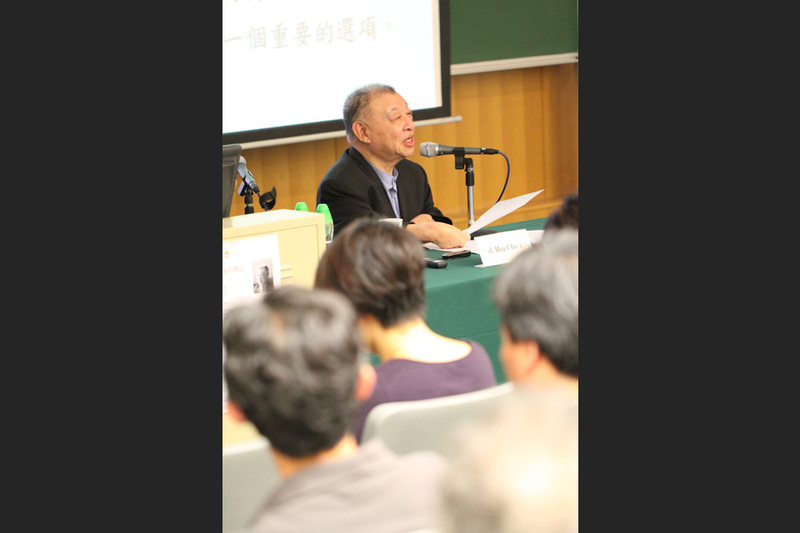 He served at the National Taiwan University after graduation for eight years and then as a Professor of History and Sociology at the University of Pittsburgh for more than 30 years. 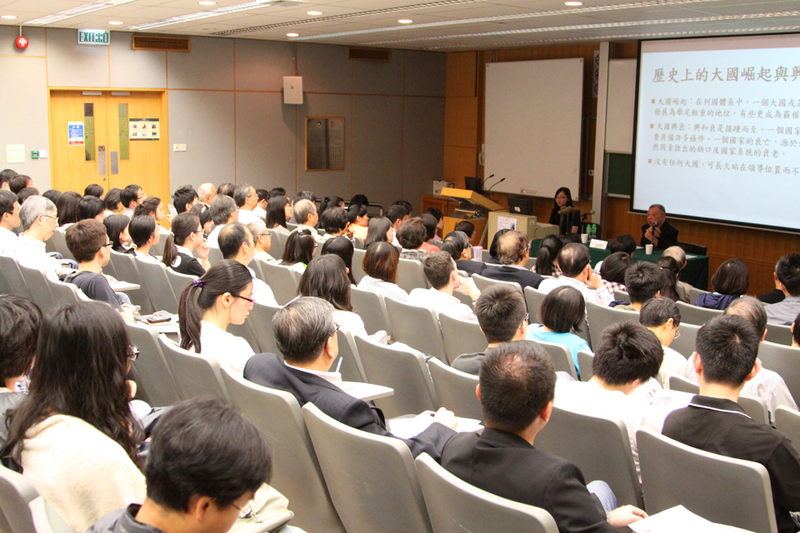 He also held professorships at the Chinese University of Hong Kong, the National Taiwan University, Duke University (Semans Distinguished Professor) and the Hong Kong University of Science and Technology (Y.K. 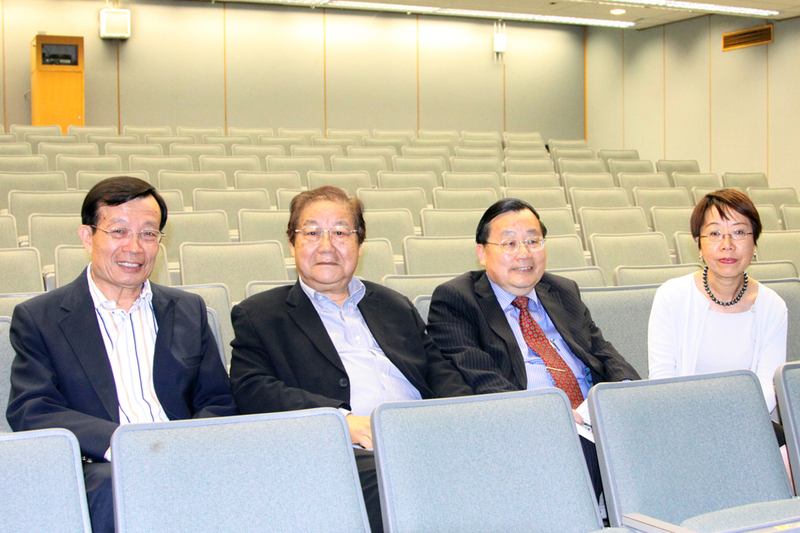 Pao Visiting Chair in Cultural Studies). 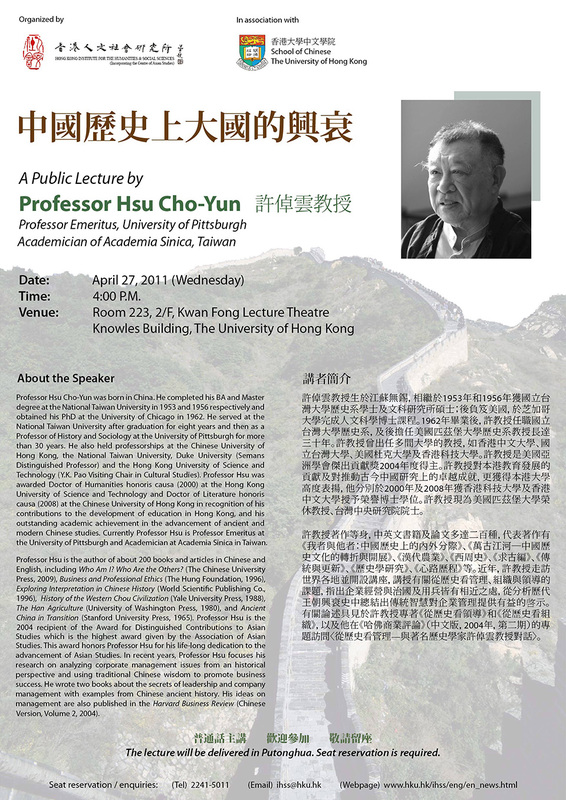 Professor Hsu was awarded Doctor of Humanities honoris causa (2000) at the Hong Kong University of Science and Technology and Doctor of Literature honoris causa (2008) at the Chinese University of Hong Kong in recognition of his contributions to the development of education in Hong Kong, and his outstanding academic achievement in the advancement of ancient and modern Chinese studies. 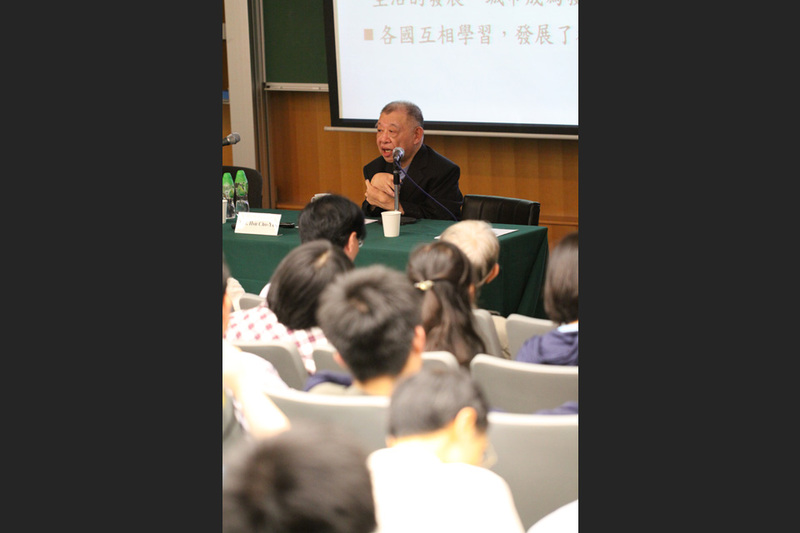 Currently Professor Hsu is Professor Emeritus at the University of Pittsburgh and Academician at Academia Sinica in Taiwan. 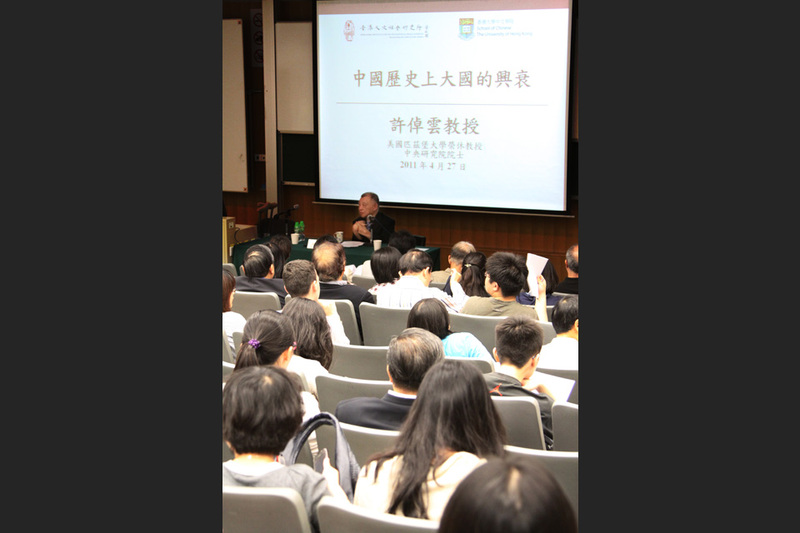 Professor Hsu is the author of about 200 books and articles in Chinese and English, including Who Am I? Who Are the Others? (The Chinese University Press, 2009), Business and Professional Ethics (The Hung Foundation, 1996), Exploring Interpretation in Chinese History (World Scientific Publishing Co., 1996), History of the Western Chou Civilization (Yale University Press, 1988), The Han Agriculture (University of Washington Press, 1980), and Ancient China in Transition (Stanford University Press, 1965). 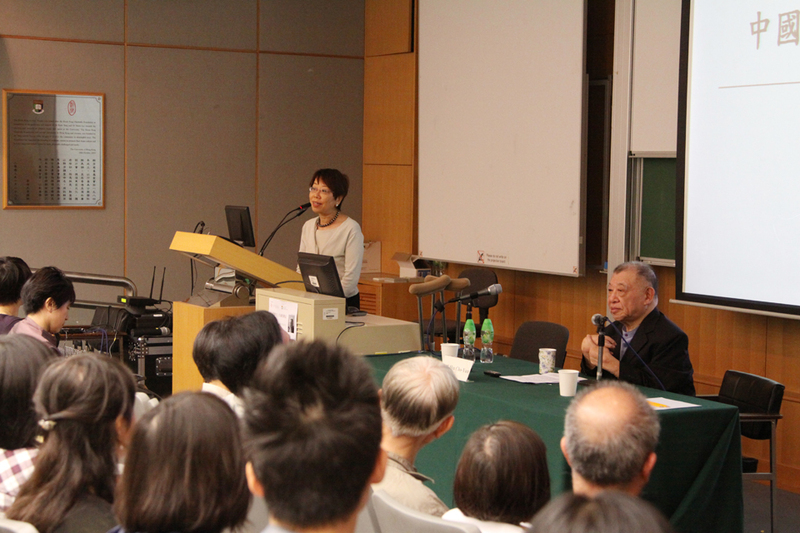 Professor Hsu is the 2004 recipient of the Award for Distinguished Contributions to Asian Studies which is the highest award given by the Association of Asian Studies. 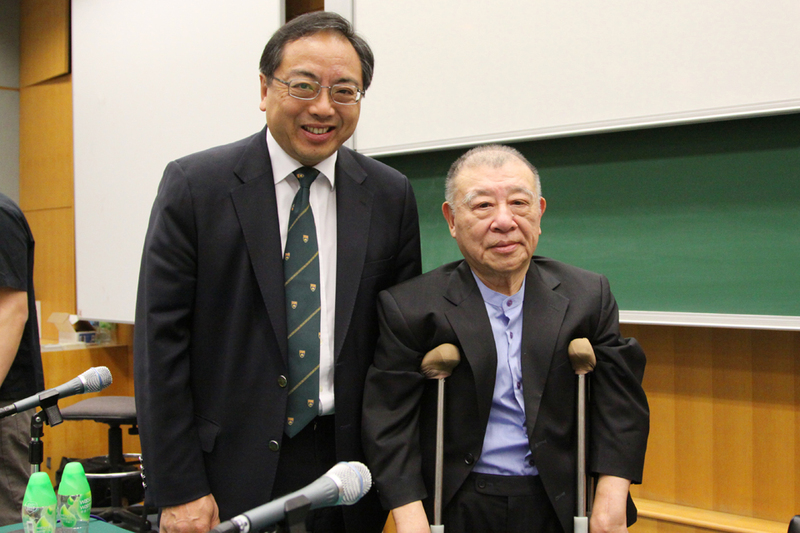 This award honors Professor Hsu for his life-long dedication to the advancement of Asian Studies. In recent years, Professor Hsu focuses his research on analyzing corporate management issues from an historical perspective and using traditional Chinese wisdom to promote business success. He wrote two books about the secrets of leadership and company management with examples from Chinese ancient history. His ideas on management are also published in the Harvard Business Review (Chinese Version, Volume 2, 2004).